Ian Johns Wins Event #8: $1,500 H.O.R.S.E. Ian Johns brings in with . Justin Bonomo completes with the and Johns calls. On fourth street Johns checks, Bonomo bets, and Johns calls. The pair get it in on fifth street. Bonomo holds for a pair of nines and Johns holds for a pair of threes. By seventh street Ian Johns makes aces up to take the pot and the tournament. Johns is the winner of Event #8 $1,500 H.O.R.S.E. an event in which he has now cashed in for the past three years. He wins $212,604 and his second career WSOP gold bracelet, having previously won ten years ago when he took down the $3,000 Limit Hold'em event in 2006. 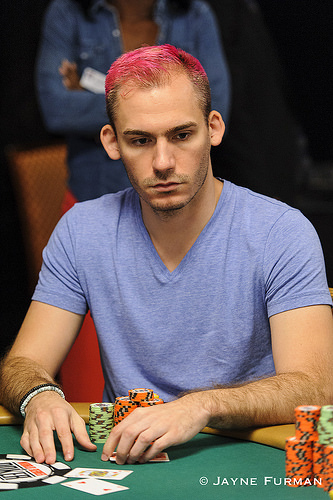 Justin Bonomo finishes in second place for $131,412. 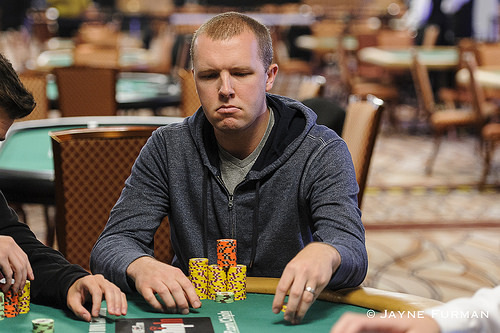 This is the bracelet winner's fourth career second place finish in a WSOP bracelet event.